If you’ve been listening to the show for a while, then you’ve no doubt heard us mention the PCA/ACA conference that all four of us are attending in a few weeks. It’s a place where academics get together and share their work on popular culture. In fact, it’s a while lot like this show and in many wats was the impetus for it existing. Well, as a little bit of a preview, Katya and Hannah share their paper topic ideas with Wayne and Mav (and you the listener) as they’re working them through. Katya and Hannah are both presenting on Game Studies. Katya will explain the way “cruelty” works in video games like Bioshock: Infinite in connection with the theories on “virtual reality” of early 20th century dramatist Antonin Artaud. 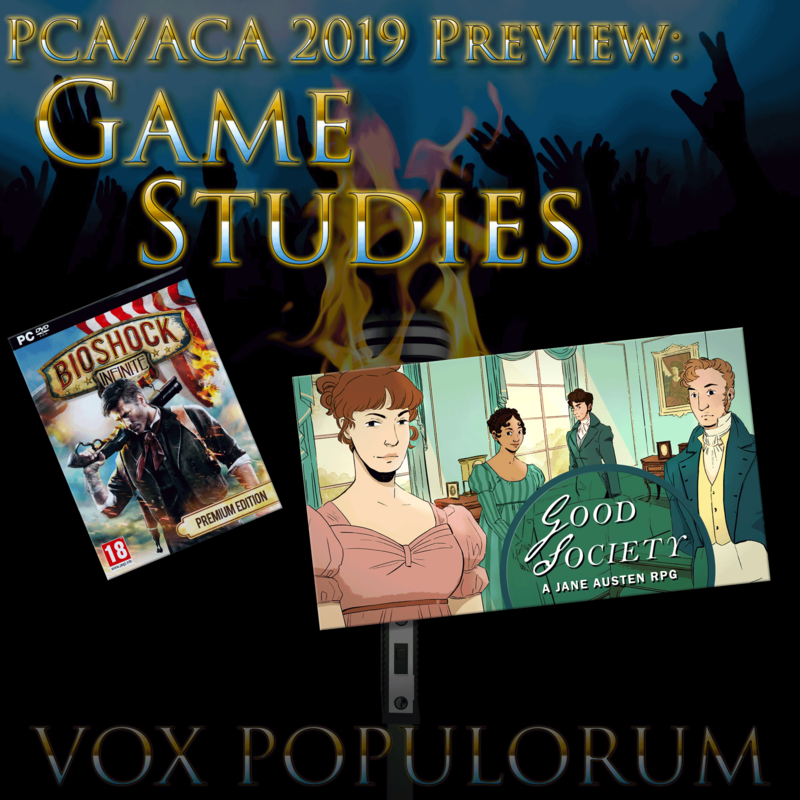 Hannah will speak to the ways in which race and gender issues are portrayed (or ignored) in the Jane Austen inspired role playing game, Good Society. Since these are both works in progress, this is a time where we welcome your feedback more than ever. Let us know what you think and then come back next week to hear Wayne and Mav talk about their papers. Previous PostPrevious e51. So What Is Subculture Anyway?